From what I've read that the 32X's Doom was rushed out the door (that sounds familiar), leaving that Doom with only 17 levels at this time I don't have a 32X so I cant try it on real hardware but my PC can handle the 32X emulator! 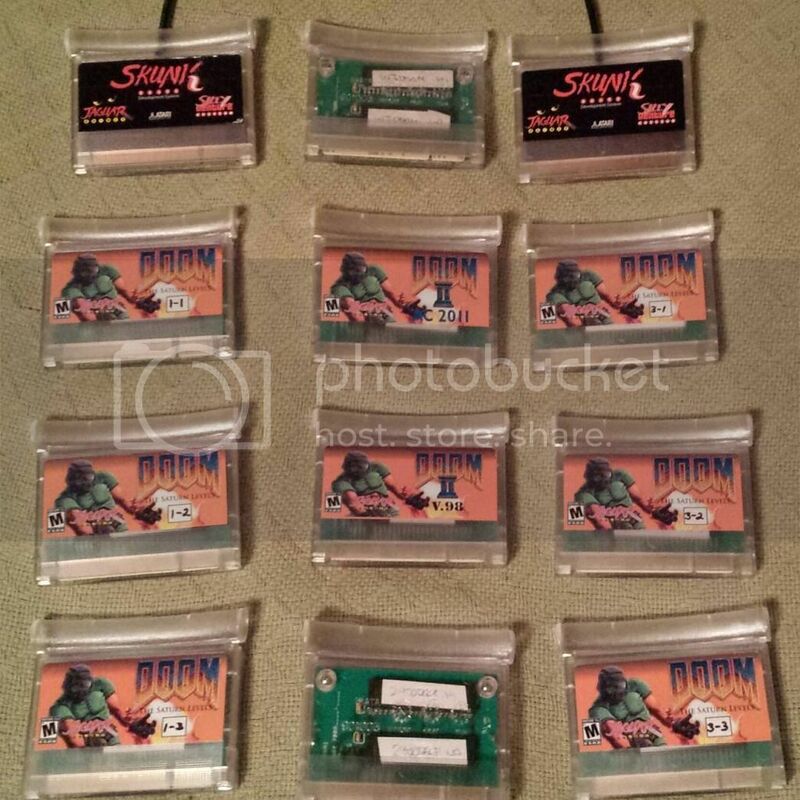 on the flip-side I've pulled the 32X Doom wad file (the 17 levels) from the rom and it works on the PC with the use of ZDoom you have use Doom 2 Iwad to play it! After porting these (back) to the Jaguar, I got a pcb made and sent to me. I've since put a clear cart shell on it and waiting for a label. Have a guy making it and several others for me. The Kega Fusion emulator is probably one of the finest emulators ever made.